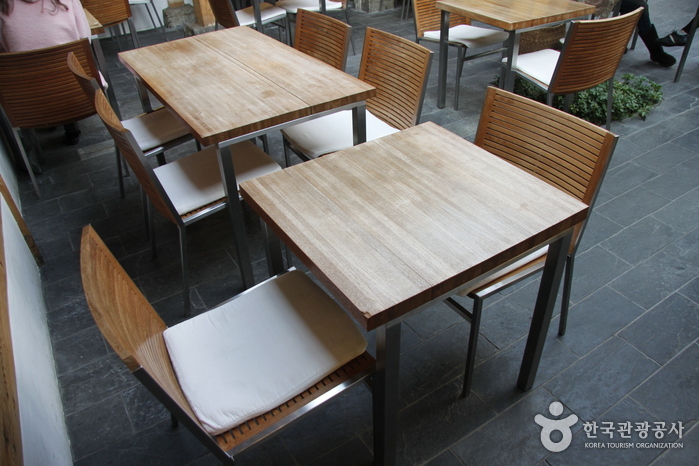 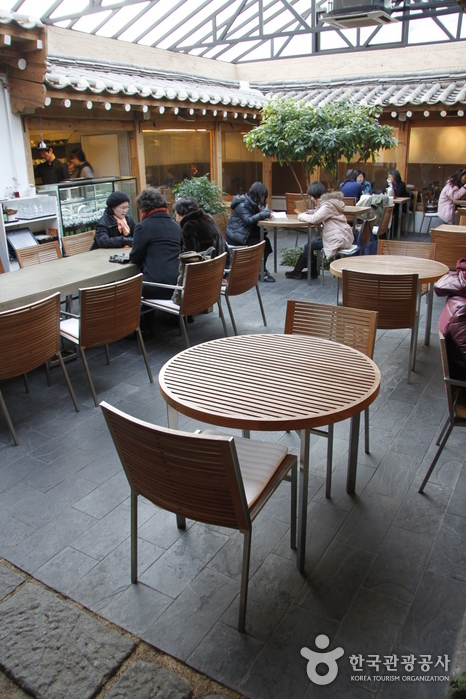 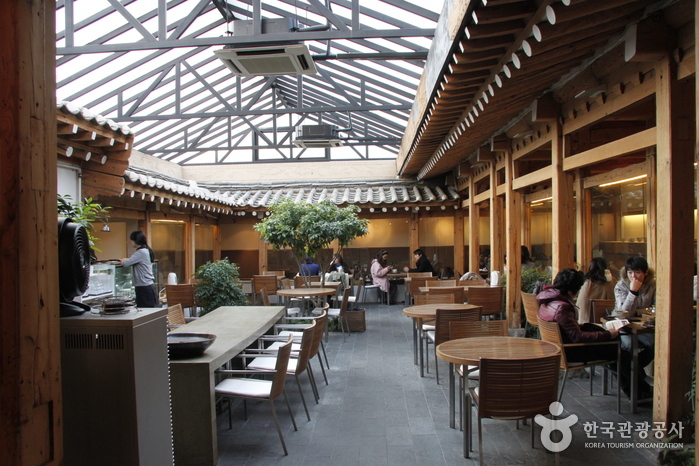 Walk about 40 meters to Insadong-daero (between Crown Bakery and GS 25 Convenience Store). 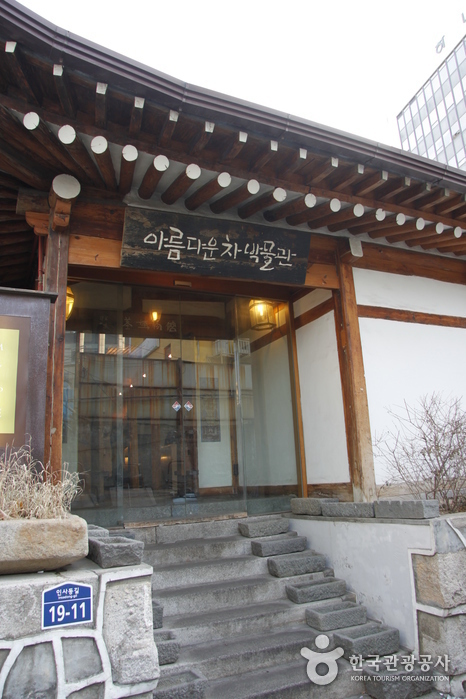 Proceed about 400 meters, and turn right at the Golden Jewelry Store. 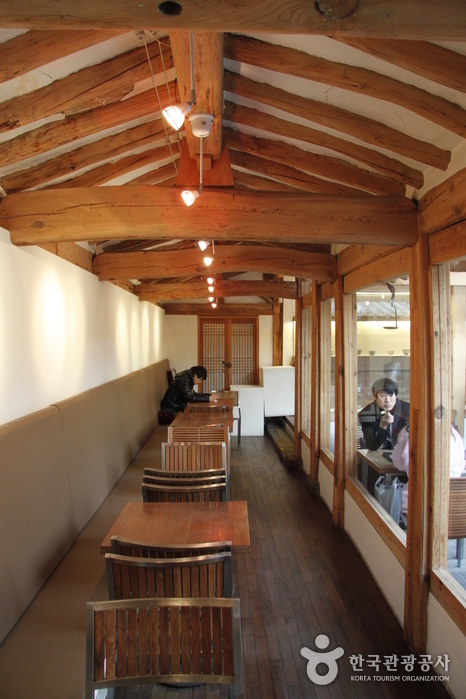 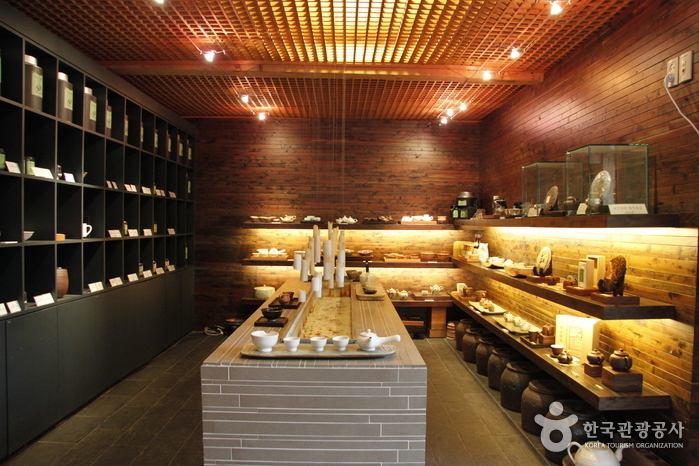 In addition to gourmet restaurants, traditional tea houses are a popular destination in Insa-dong. 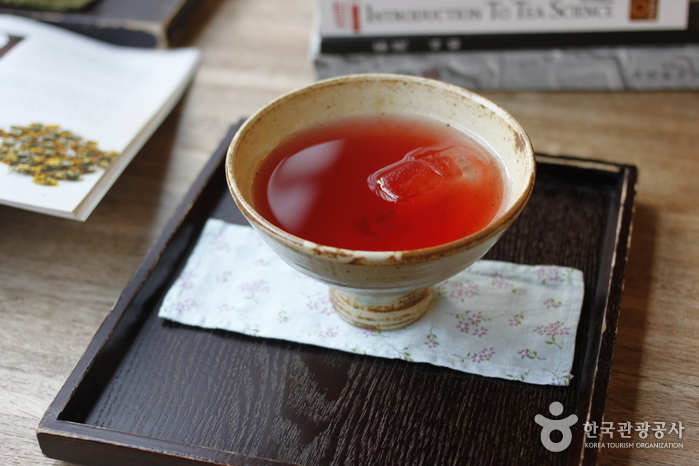 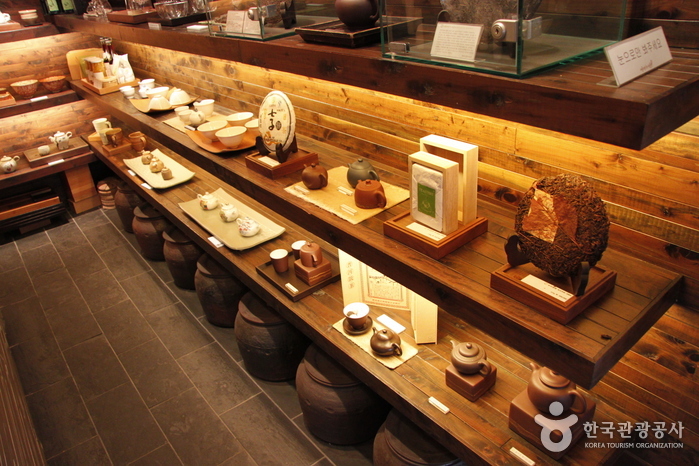 Among them, we recommend Areumdaun Cha Bangmulgwan, where you can taste more than 100 types of tea, including Korean, Chinese, Japanese, and Taiwanese. 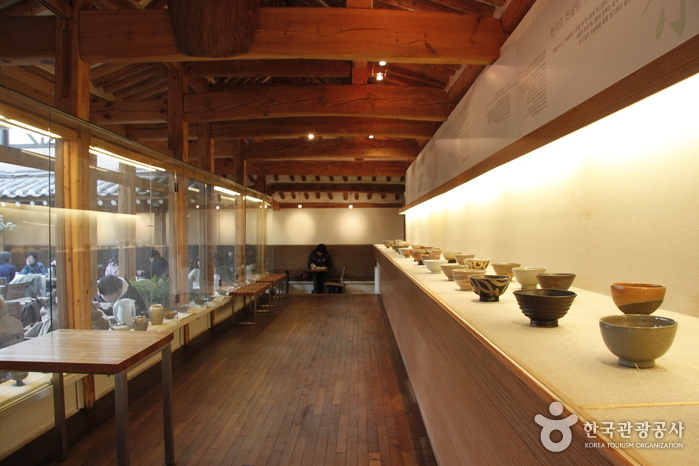 The shop also serves as a museum and gallery. 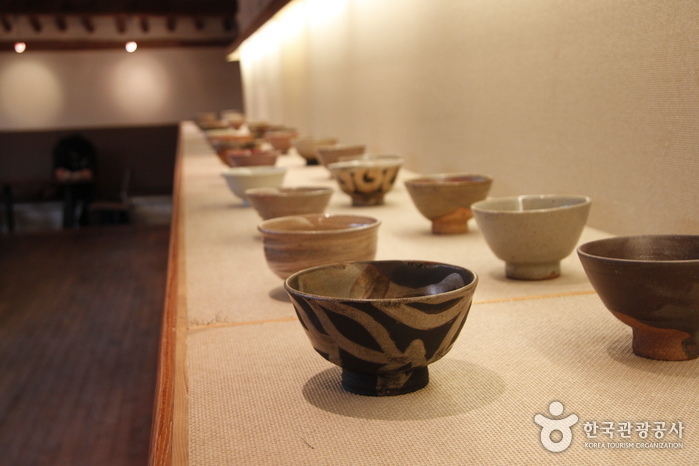 Enjoy a leisurely cup of tea as you appreciate the art that is on display.